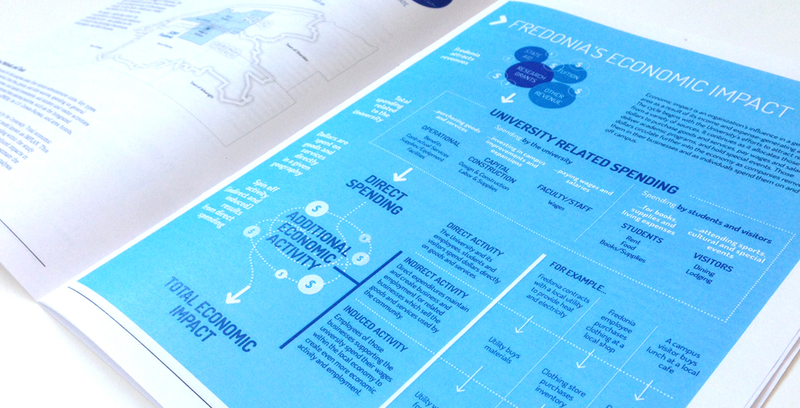 Development of baseline indicators, and data analysis to measure impacts and shed light on Fredonia's contributions to the local, regional and state economy. Commissioned by the State University of New York at Fredonia (Fredonia), this study – conducted by the UB Regional Institute – develops a baseline of key impact indicators, shedding light, through data and quantitative analysis, on Fredonia’s contributions to the local, regional, and state economy. 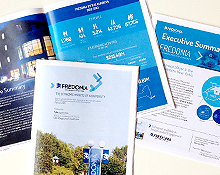 Fredonia is a major player in the economy of Western New York’s Southern Tier. With 1,780 faculty and staff, 421 faculty retirees, 5,214 enrolled students, 42,736 alumni and 87,755 annual visitors, Fredonia is a hub for people and a source of community vitality and economic activity. Employment, revenue, and spending data were collected with the help of University staff across several administrative units and affiliated entities. Other data were obtained from outside sources, such as the Integrated Postsecondary Education Data System (IPEDS), various government databases, area hotels, restaurants, and attractions. The data helped determine direct spending, while IMPLAN, an industry-standard economic modeling software, was used to estimate indirect spending and total economic impact. Findings of the report show that the University generated revenues of $140 million in 2012-13 supported spending of $215.4 million by the University and its faculty, staff, students, and visitors, fueling demand for businesses and service suppliers in the local area, region and beyond. These dollars circulated through the economy to leverage additional impacts. 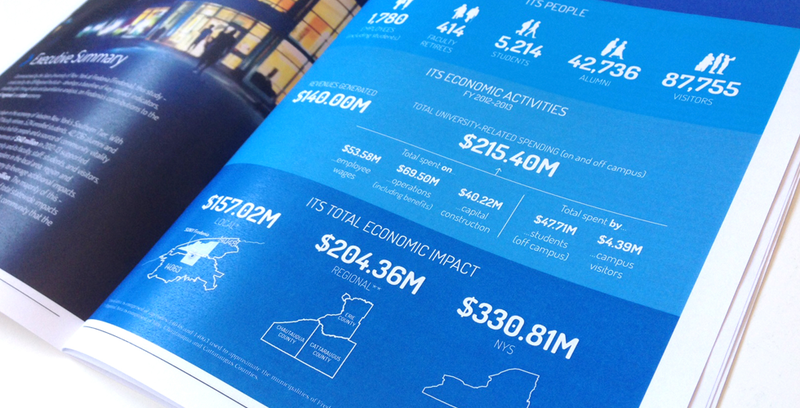 Statewide, Fredonia’s impact is estimated at $330.81 million. The majority of this – $204.36 million – accrues to the region, while nearly half of total statewide impacts – $157.02 million are concentrated in the local Fredonia-Dunkirk community that the University calls home. This entry was posted on April 30, 2015 .